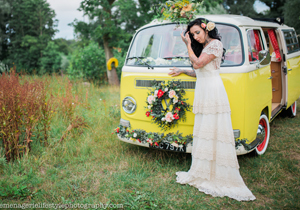 Classic VW Campervan Hire based in Essex. 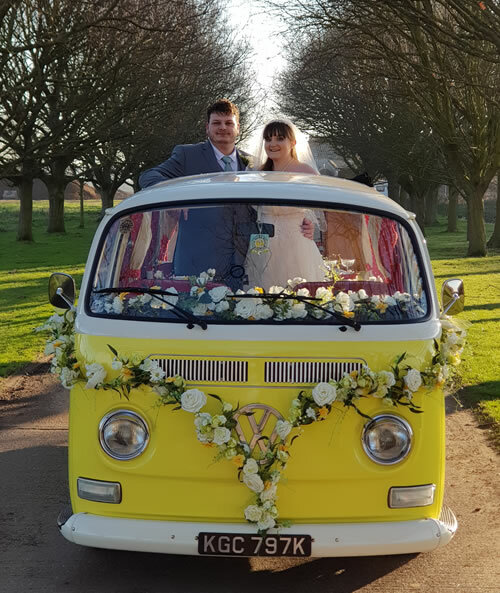 Welcome to Little Yellow Bus, Classic VW Campervan hire business based in Southend on Sea, Essex, for weddings, proms and events (both corporate and personal) in Essex. 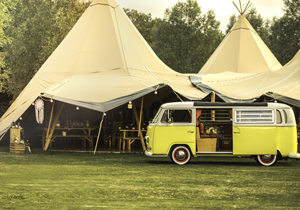 Our chauffeur driven Little Yellow Bus was built in 1970 and is a fine example of an early bay window Volkswagen camper. Fully restored with a modern twist, we opted for a traditional interior with full leather upholstery, and a stunning full length rag top roof which can be opened up weather permitting. Our award winning VW campervan seats five in comfort - please view our Gallery and social media news feeds for images. Areas covered in Essex include Great Wakering, Barling, Shoeburyness,Thorpe Bay, Southend on Sea, Westcliff, Leigh on Sea, Benfleet, Hadleigh, Canvey Island, Rochford, Hawkwell, Hockley and Rayleigh. For the full list please see below. If you would like to make a booking please CONTACT US or visit our MAKE A BOOKING page. Specialising in wedding hire, we have various packages available and offer a tailor made service to ensure your day is just perfect. 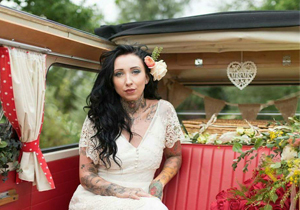 We offer a chauffeur driven WEDDING PACKAGE which covers all the hire, decoration and insurances. We also offer a SINGLE JOURNEY PACKAGE. We are based near to Southend on Sea, Essex; however, we are happy to cater for journeys further afield so please CONTACT US to discuss your requirements. We offer a special chauffeur driven PROM SERVICE with a difference. We can bring the party to you with our portable Sony Blue tooth NFC Chip speaker and disco lights. Please CONTACT US to discuss your requirements. Areas covered in Essex include Great Wakering, Barling, Shoeburyness,Thorpe Bay, Southend on Sea, Westcliff, Leigh on Sea, Benfleet, Hadleigh, Canvey Island, Rochford, Hawkwell, Hockley, Rayleigh, Ashington, Canewdon, Hullbridge, Battlesbridge, Rawreth, Southchurch, Basildon and Billericay. We also cover Kent, Hertfordshire, Cambridge and further upon request. If you would like to make a booking please CONTACT US or visit our MAKE A BOOKING page.